Why Didn't Lionel Messi Win Every FIFA World Cup Award? I have been in serious doubt for the last couple of days. Why did FIFA gift (only) the Golden Ball award to Lionel Messi? It was great they gave Messi the Golden Ball only because he is Messi but why didn't they give him the rest of the personal awards and of course, the World Cup? If we make a brief analysis of the situation Messi should have won everything. Messi scored four goals in the 2014 FIFA World Cup competition. This achievement is only by two goals worse than James Rodríguez result (James is the top scorer with his six goals). If we count the penalty Messi scored in the shoot-outs with the Netherlands then Messi has even five goals. How could FIFA be so mean and petty-minded to not award Messi the Golden Boot? If they hadn't been able to think of anything more suitable, they could have simply solved it by just "splitting the baby" and naming James Rodriguez the top scorer while awarding the Golden Boot to Lionel Messi. It is just that easy. Now, this is the award I do not understand at all. Manuel Neuer got the Golden Glove award for best goalkeeper. How could this happen when Neuer allowed four goals in his net during the competition? Lionel Messi, personally, didn't allow even a single goal for Argentina. How could FIFA be so unfair not awarding Messi the Golden Glove when the stats are so eloquent? Paul Pogba got the Best Young Player award. It's quite unfair again. France didn't even qualify for the semi-final so Pogba didn't play enough time to get the award. On the other hand, Lionel Messi made decent promenades in the maximum possible seven games. So, he played a lot, he is much younger than his main rival Cristiano Ronaldo and he is the Best. Obviously, Messi fits all the three words of this title - best, young, player. Go figure it out. And... the World Cup. I really did not understand why the World Cup left for Germany. There were so many areas which Argentina had advantage in. 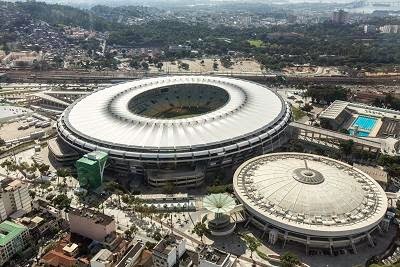 First, Argentina borders Brazil so the World Cup would not have to travel so far. Second, Argentina starts with an "A" while Germany starts with a letter far behind in the English alphabet. Third, Argentina hasn't won a FIFA World Cup competition longer than Germany. I can go on and go on. 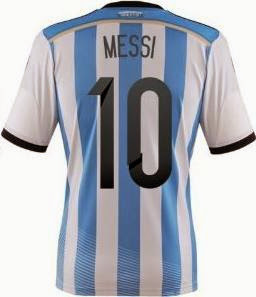 It's obvious that the World Cup should have been awarded to Argentina. Finally, if the aforementioned is not enough, Germany is a generous nation. Just recall how many billions of dollars they have gifted Greece in the recent years. If FIFA had kindly asked Germany, the German team would most probably agree to transfer the trophy to Argentina and Lionel Messi. Now, we can deservedly blame FIFA again that because of their short-seeing and poor communication skills Argentina failed to get the World Cup from Germany. But we should admit we could not blame FIFA for everything. It appeared there were other bad people too. According to Wikipedia, the Castrol Index evaluating player performances through statistical data finished with the following starting eleven (with Toni Kroos being the overall leader): Manuel Neuer, Marcos Rojo, Mats Hummels, Thiago Silva, Stefan de Vrij, Oscar, Toni Kroos, Philip Lahm, James Rodríguez, Arjen Robben, Thomas Müller. Yes, Lionel Messi is not even one of these eleven. What an injustice! If you want to read a funny comparison between football and other sports click here. First, Brazil received a big gift from the referee in their opening game against Croatia. It was obvious for everybody there had not been a penalty when Fred simulated during the game. But later Fred and more importantly Luiz Felipe Scolari claimed the opposite. It was really impudent to support this statement when everybody had seen the situation and even some Brazilian officials admitted it was a wrong decision (if nothing more) by the referee. Sometimes, it is just better to stay silent instead of tempting fate. Furthermore, Brazil won Group A based on goal differential. It was in favor of Brazil by 2 goals. But if we take the non-existing penalty for Brazil in the game vs. Croatia and the two unfairly disallowed goals for Mexico in their game vs. Cameroon this would be enough to place Mexico at the top of the group. Which means Brazil should have played their first game of the knockout stage against the Netherlands instead of Chile. And there were at least a couple of other disputable situations judged in favor of Brazil and in harm of Mexico that could have even further inflated the goal differential in favor of Mexico's team. And it was not clear in the first place whether Brazil would even win over Croatia (thus getting 3 points for the win) if it were not for that penalty which changed the course of the game. So, having in mind all the presents Brazil has received from the referees it is even more impudent to claim that FIFA is not interested and would not allow Brazil to win a sixth world title. Surprisingly, this is what Brazil's manager Luiz Felipe Scolari and his assistants are reported to have said. Now, after the disastrous game with Germany, I suppose there wouldn't be anybody claiming Brazil had played in a competent manner. But there were even earlier events pointing out at this issue. For a few examples, we can mention the childish goal the Selecao allowed in the game with Chile or the inclusion of Fred in the team. The only real reason to include Fred in the team would be to expect him to simulate for a penalty or to score an offside goal. If we ignore these "virtues" of his, Fred's presence is comparable to Diego Costa's inclusion in the Spanish football team (an inexplicable decision by Spain's manager Vicente del Bosque, another "great" specialist who probably has to retire). "Until now everything had gone very well." said Brazil goalkeeper Julio Cesar after the defeat by Germany. Well, what exactly had gone so well? Receiving a penalty for a starter versus Croatia? Drawing with Mexico? Winning against Cameroon (arguably the weakest team at 2014 FIFA World Cup)? Almost defeated by Chile and saved by a crossbar at the end? Winning over Colombia with just one goal more? It seems Brazil footballers and the whole country have been quite delusional recently. Brazil didn't show anything in this competition to convince anybody (except for themselves and their die-hard fans) that the team deserved to win the World Cup. If we look at the scores and the demonstrated skills the "humble" team of Costa Rica deserved to win the Cup twice more. Brazil showed nothing impressive in football terms. You cannot win a tournament just with inflated self-confidence and referees' "mistakes". You cannot expect Germany to gift you the World Cup just because you are the host of the tournament either. And being that naive brings you tears. We saw tears yesterday but we had seen tears in the eyes of Brazil's players long before the semi-final game. Yes, I am talking about the game with Chile. How often do you see footballers cry before penalty shoot-outs? Usually, you can see the defeated side crying after the shoot-outs. Did anybody see the Netherlands players cry before the penalty shoot-outs vs. Costa Rica? The painful truth is, Brazil's team was simply not ready for this tournament and they should have known it. Acknowledging it would not save million people in Brazil from tears after the disgraceful defeat from Germany but if the degree of impudence and naivety had not been so high the level of disappointment would most probably be much lower. This article won't be our typical movie review. Why Edge of Tomorrow is an entertaining movie you can read in a lot of reviews all over the Internet so let's concentrate on the question why the film is a mess. This will hardly happen without any spoilers though so be prepared to encounter them. Edge of Tomorrow is a science fiction film about an alien race trying to conquer the Earth. The aliens are called Mimics, which actually does not matter for our purposes. The alien race (or organism) consists of three different species: first, countless "disposable" ordinary soldiers, which are easily allowed to die; second, much more rare and valuable "Alpha" Mimics used as scouts to improve the alien race's cumulative knowledge; and third, a unique Omega Mimic, which is the brain of the hive and stores the accumulated knowledge. Whenever an Alpha is killed, the Mimics possess the ability to reset time and use the gathered knowledge to improve their performance in the next time iteration. During his first actual battle, TV star Major William Cage (Tom Cruise) is killed by an Alpha Mimic but since he is covered in Alpha's blood in the very moment of his death, he inherits the ability to reset time and accumulate knowledge. Subsequently he tries to use this ability to destroy the Omega and in the process, he is helped by Sergeant Rita Vrataski (Emily Blunt) who used to have the same time resetting power in the past. As mentioned above the movie and the story are actually entertaining but also the same interesting time-loop concept is where the problems with the movie begin. There is not a single good-enough explanation how the whole time resetting thing works. If we take, for example, the "Cage" case introducing this concept to the movie, it's not clear who resets time - whether it's Cage or the aliens being it either the killed Alpha or the Omega. If the aliens are the reason for those resets, they should accumulate knowledge as well as Cage and improve themselves. If Cage is the one triggering the resets then it still makes sense to assume the Omega preserves knowledge as well otherwise it would be quite strange to think the Omega would know anything about Cage at all in order to send visions to him. So, we can safely assume that the alien race retains its ability to accumulate knowledge and improves in parallel with Cage during the time resets related to Cage. And now the questions begin. First, is it plausible enough to think Cage will improve "better" than the aliens in order to accept the filmmakers' idea he will be able to defeat the aliens this way? Isn't it more likely that the aliens will be superior in this process since they've been doing it for a long time? It does not make sense to expect from a beginner to beat the professionals in their game. If we somehow accept it, the next question pops up. After Cage dies and wakes the previous morning, why wouldn't the aliens just kill another Alpha and reset the time to an even earlier point thus preventing Cage from access to their essential time-resetting power? Both of these questions leaved unanswered should probably lead us to the conclusion that the alien race is actually quite stupid. But here comes the last question in this vein. If we somehow accept the above "stupidity", wouldn't the aliens be at least so smart to have always an Alpha ready to be sacrificed at the slightest possible danger for the Omega. Why would they risk the life of the Omega at all if they have the ability to reset time by killing an Alpha? Cage says to his crew just before the attack against the Omega near the end of the movie that it is very important to avoid killing an Alpha exactly for the same reason. And simultaneously we are forced to believed the aliens would not do such a killing themselves in order to save their hive mind. I'm sorry but independently of how much I'm trying to suspend my disbelief I would not buy that last one. 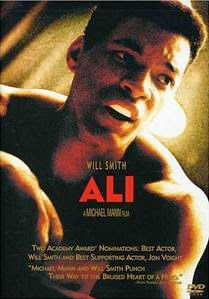 There are also other discrepancies in the movie like, for example, how it happens that nobody recognizes the famous face of Major William Cage from the TV. Since these issues are not related to the time manipulating concept we can omit them for the purpose of this article. 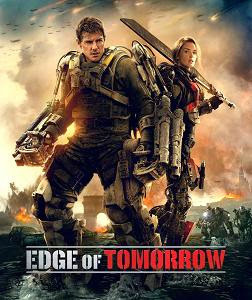 And to bring it to an end, Edge of Tomorrow is enjoyable and the movie has its merits but if you try to think about the concept the film and its plot are based on, you'll end up in a great confusion. While 2014 FIFA World Cup is going on in Brazil bringing plenty of positive and negative emotions around the Globe, let's have some fun comparing football (soccer) with other popular sports. In games so different as football and tennis, we can consider a similarity their origins. England (non-continental Europe) is widely regarded as the place where the modern versions of these sports have come from. The main difference though, besides "small" distinctions like number of players, size of the ball, rules, etc., is that apart of the many famous football and tennis players coming from continental Europe, the rest of the most remarkable footballers come from South America while the rest of the most notable tennis players come from North America. The United Kingdom despite giving these two wonderful sports to the modern world is rarely in the spotlights as a winner. The similarity between football and basketball is that in both sports the objective is to score points with balls, which are almost the same in circumference (the basketball is usually slightly bigger). The dramatic difference lies in sizes and numbers. The hoop of the basket in basketball is just 18 inches (46 cm) in diameter, yet the number of points scored by just one of the teams often exceeds 100. The rectangular goal in football is 7.32 m (8 yd) long and 2.44 m (8 ft) high (which means it encompasses an area a hundred times bigger than the area available for shooting in basketball) but you can very rarely see 10 goals scored by both of the teams combined. Actually, seeing more than two goals in a football game is often considered profusion. Now, one can wonder what could be the similarity between football and gymnastics. Well, hold your breath... in both sports the winner is decided by referees / judges. What is the difference then... In football, if you compete for the World Cup, referees can screw you up just once each four years. In gymnastics, if you want the World Championship title, judges have the option to do it every year. Which one is better though is beyond my humble imagination. And finally, let's compare football with another popular competition, politics. One of the famous "facts" about both is everyone is an expert on football and politics. Another similarity is the presence of behind-the-scenes manipulation in both games. What differs them is the manipulation in politics often succeeds in making people to believe they are the ones choosing the "champion" while the manipulators in football have not been able to convince anybody about anything yet.